I’ve never really thought about the benefit of black as a computer keyboard color choice. 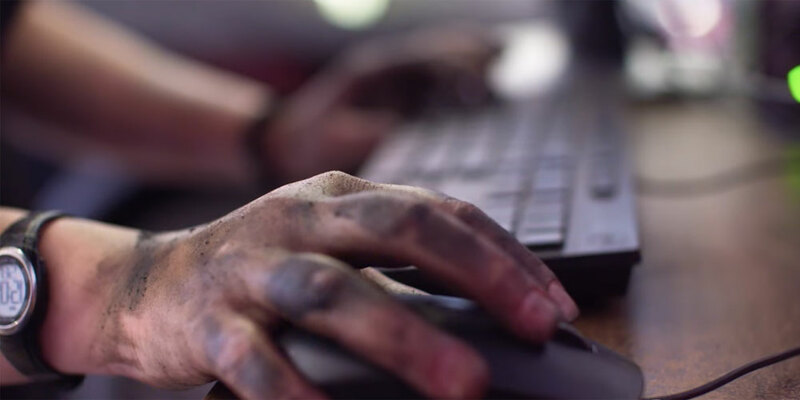 But, for Patrice Banks, it makes absolute sense when she’s typing with grease and dirt on her hands. Banks is the hands-on founder of her own mechanic shop in Philadelphia, The Girls Auto Clinic. She is not what most people envision for a typical auto mechanic. And Girls Auto Clinic is not your typical auto repair shop. Flash forward a few years and Banks was a failure analyst at Dupont using her engineering background to collect and analyze data to determine the cause of a failure. That’s when, as she tells Marketplace, she noticed a particular failure in the auto repair business. Banks went looking specifically for a female mechanic and couldn’t find one. So, she went back to school and became one herself. Her story reminds me of the advice I once heard our own founder Michael Dell give to an 11-year-old entrepreneur – find an unmet need or problem that exists and then find a way to solve it. Banks didn’t stop at simply filling the need by becoming a mechanic herself, though. She knew that many women feel mistreated, or taken advantage of, when they take their cars in for repair. That can seem a daunting task when you look at the technology in the auto industry today. Digital transformation has not passed it by. I mean, the Ford GT has more lines of code than a Boeing jet airliner! And our customer OTTO Motors is creating self-driving vehicles that help repair centers improve material flow and do heavy lifting. 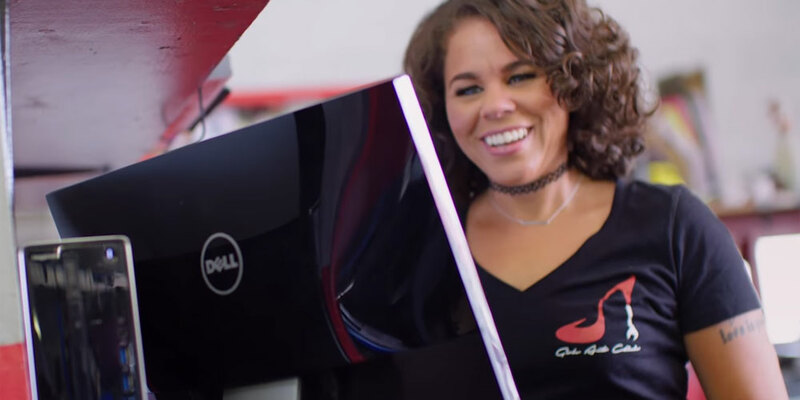 But Banks, who initially became a Dell customer when she bought her first laptop for college, needed the technology that powers her business to be easy because she’s got a lot on her hands as an entrepreneur. And not just grease and dirt. Though Girls Auto Clinic has been open near Philadelphia since 2013, the shop’s latest addition, Clutch Beauty Bar, is bringing it a whole new wave of fame. Clutch offers customers manicures, pedicures, and blowouts while they wait for the mechanics to finish with their car. And Banks has published a do-it-herself book titled “The Girls Auto Clinic Glove Box Guide” to remove the mystery from auto maintenance and repair for those who can’t make it to her clinics. I look forward to watching how she continues to grow her business, and I’m proud to know that her Dell Small Business Technology Advisor will be there to help see that she has the technology she needs to do it.